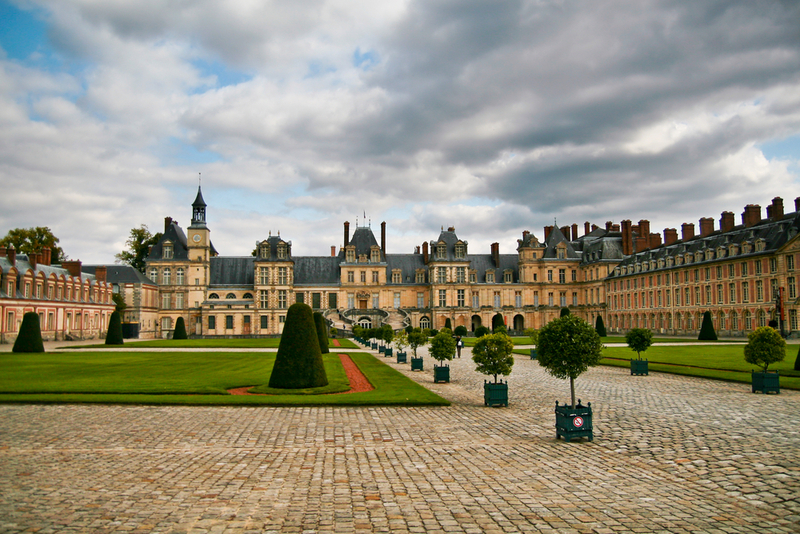 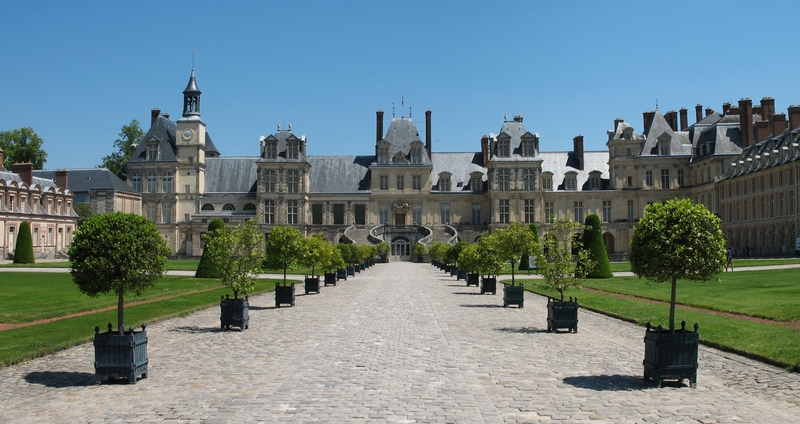 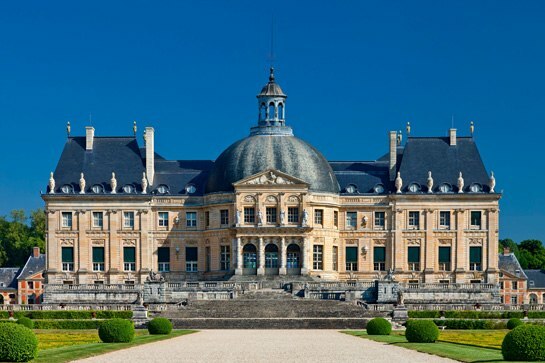 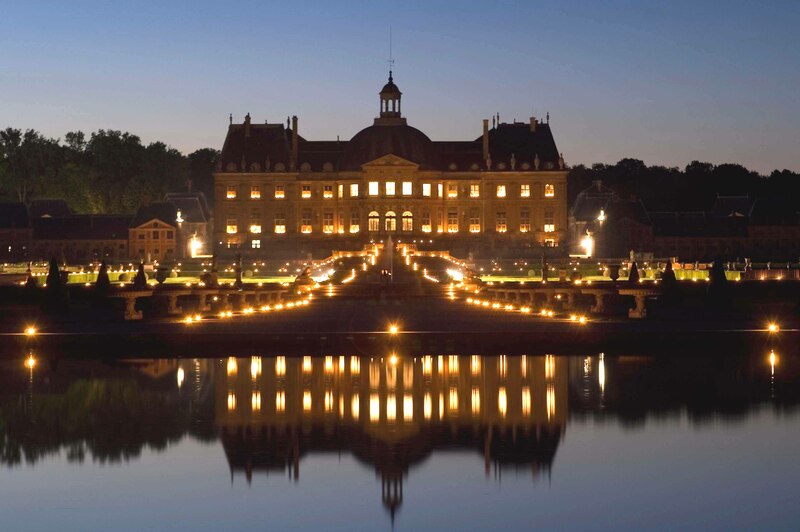 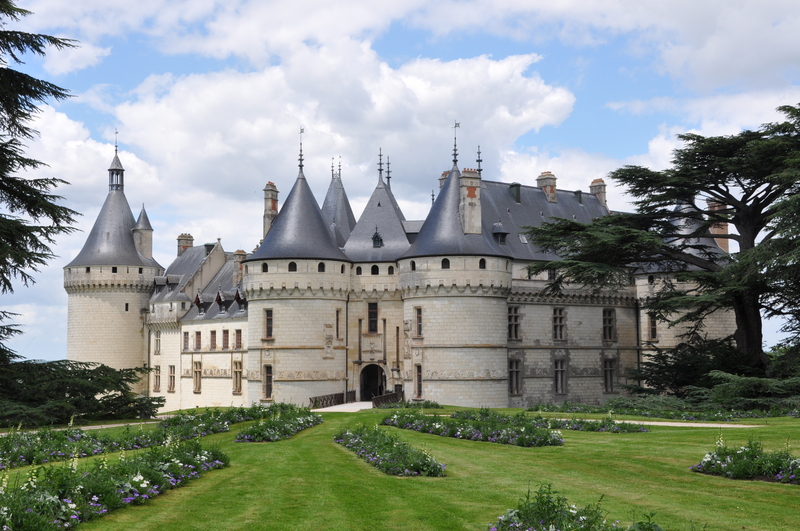 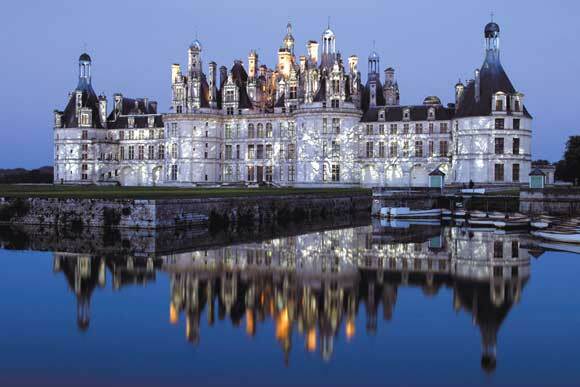 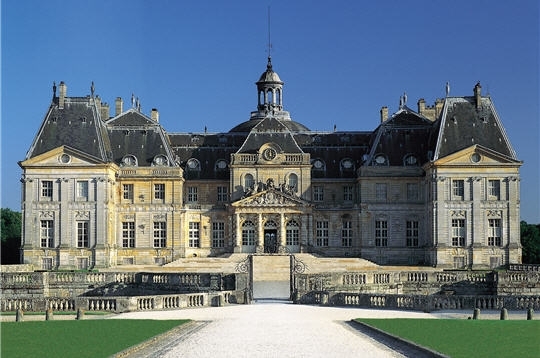 Visit The Top 10 French Palaces and Castles Now And You Will Not Be Disappointed! 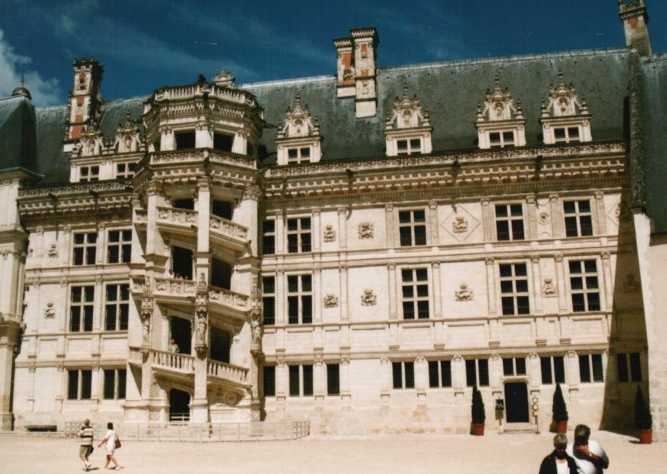 As the 16 century ended , a new trend creeped its way into France, the Renaissance look ,so as french absolute monarchy was shaping itself into an authoritarian government capable of governing France , many nobles began extensive programs to extend or build new residences worthy of their name and prestige. 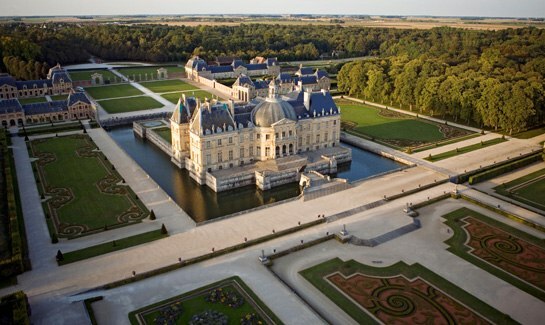 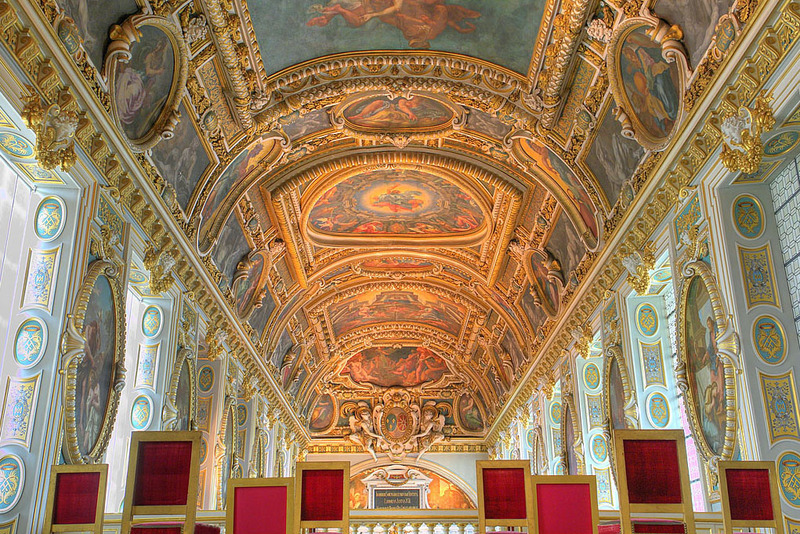 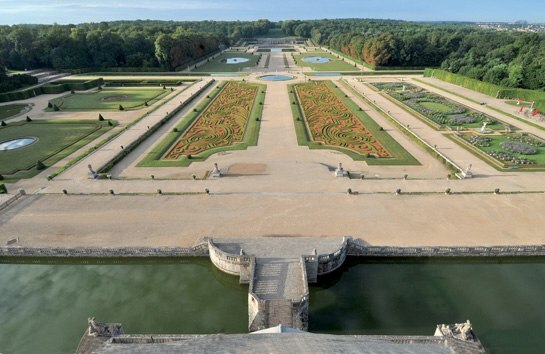 Most palaces where naturally build by and for the king ,such as Versailles. 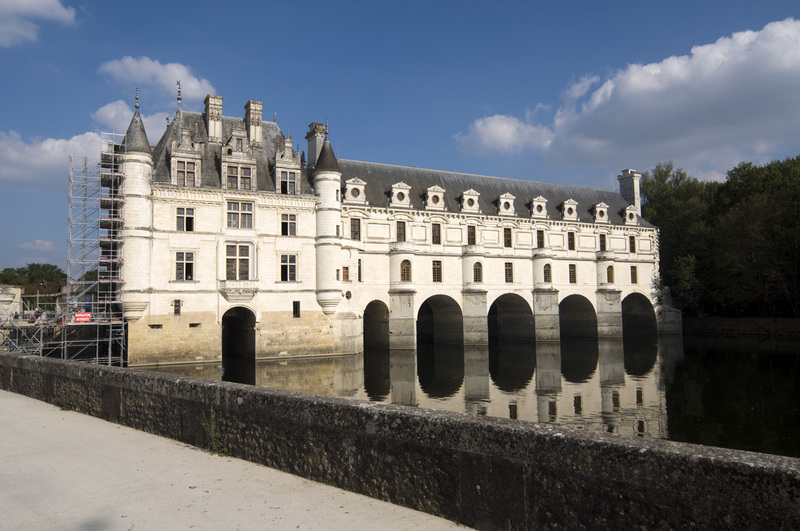 Some however have more interesting story which inherently makes their architecture more interesting, such as being either built all at once or part of a larger and older sites dating to the middle ages. 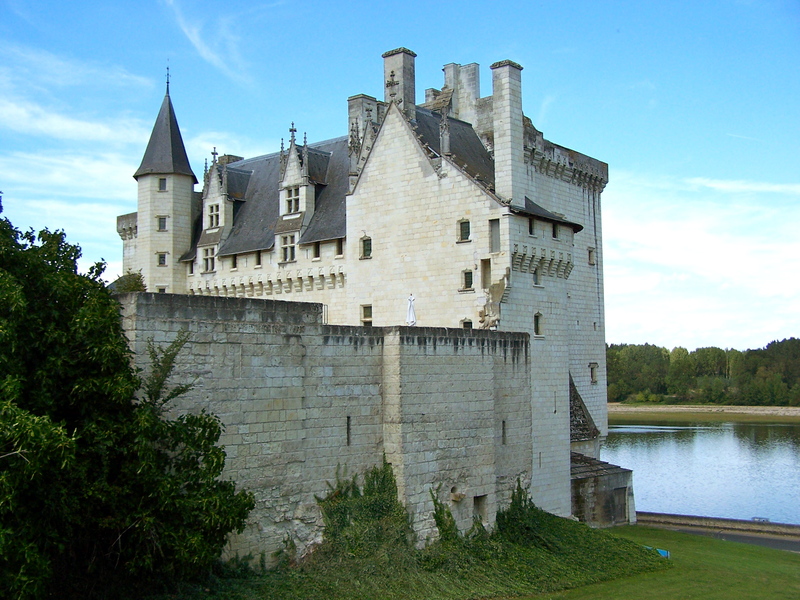 Indeed this mix of gothic and renaissance influenced and created some unique solution , culminating in some cases with picturesque fairy tale castles. 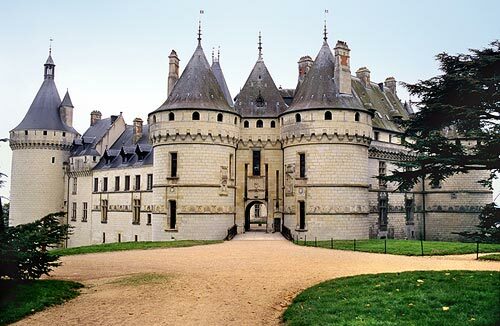 Although named castles , they were in fact palaces fulfilling the roll of residence and were not intended to serve as a fortifications. 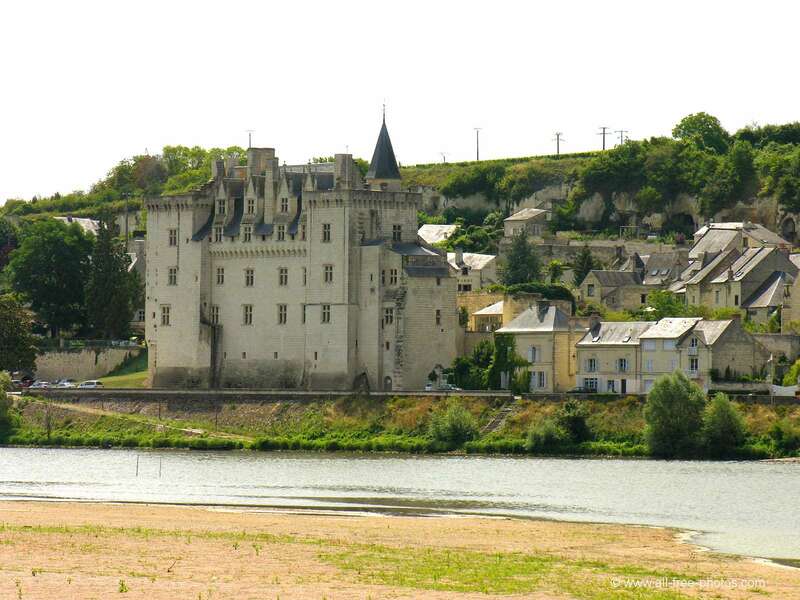 Some were indeed made to withstand some degree of siege , but nothing to serious while others apeared fortified because they were built on top of medieval castles or were direct extension and renovations of these said middle ages fortifications. 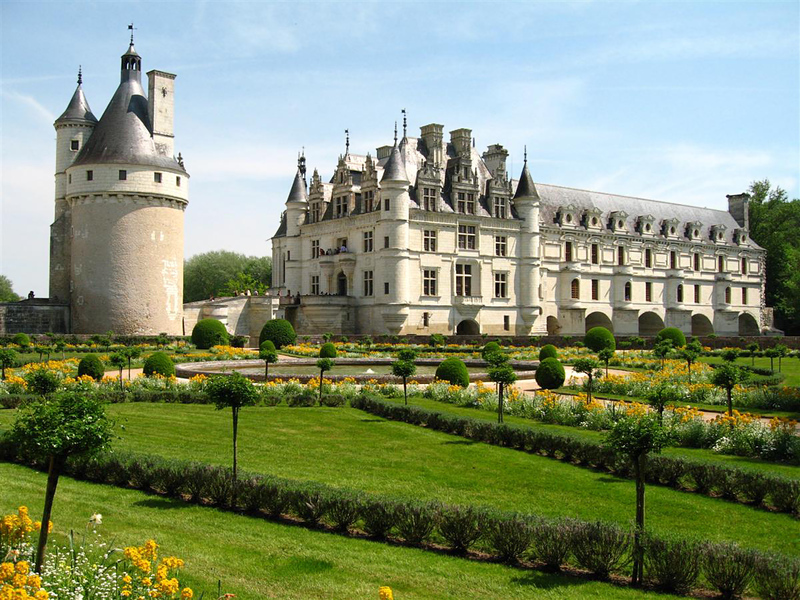 Regardless of the case , there was a direct shift towards perspective and aesthetics and as the Duchy of Burgundy disapeared , the Loire valley was free of incursions and most nnobles in cetral and north-western France dedicated their wealth to creating new , comfortable homes. 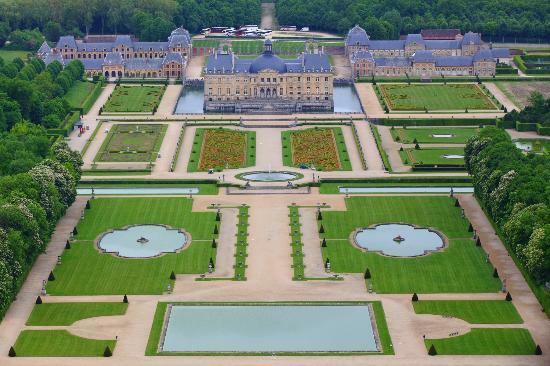 This paved the way to creating some marvelous palaces and gardens , turning fairy tales into reality , such images were able to come to life and create extraordinary landscapes and perspectives and we made a top french palaces from the 16th century onwards. 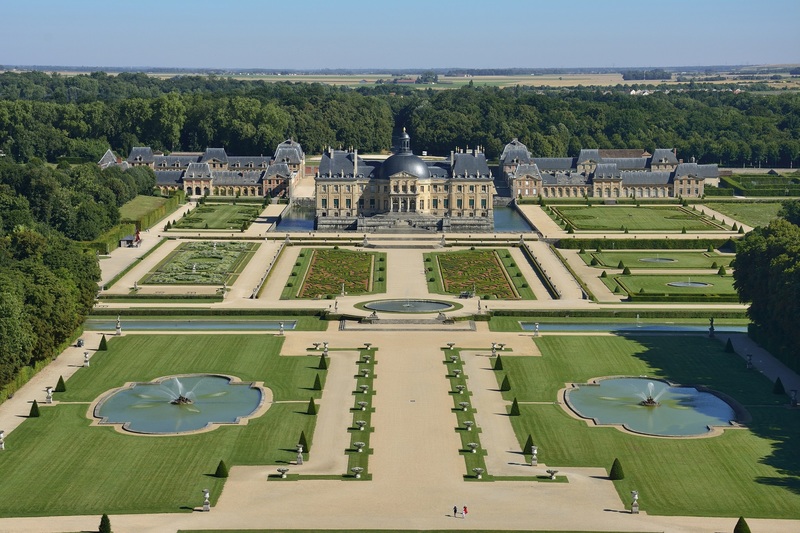 – Built during successive ages and kings it encompasses design elements of several styles , most notably french classicism and baroque . 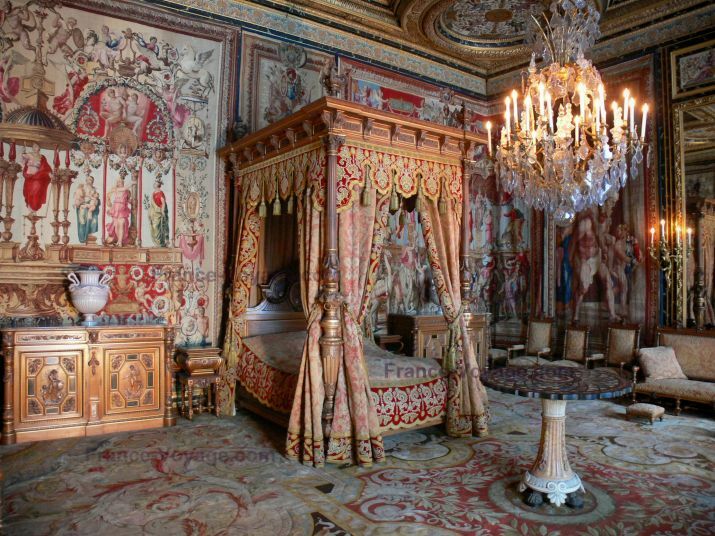 Many wings were built during different ages and some were completely reshaped or changed by additions during the 18th century. 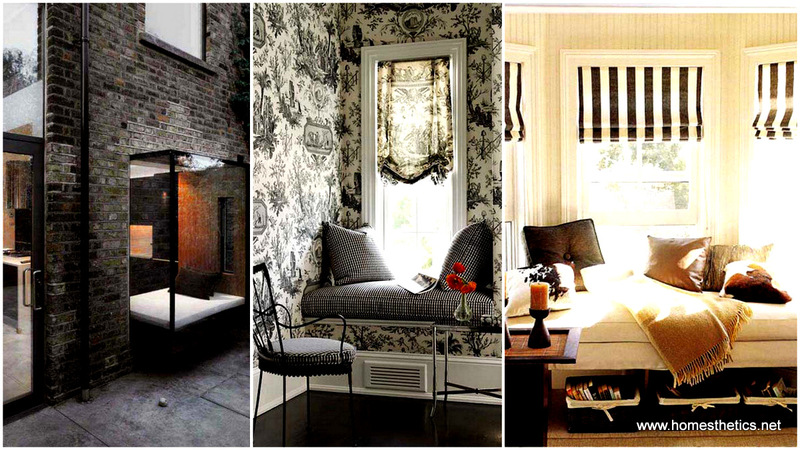 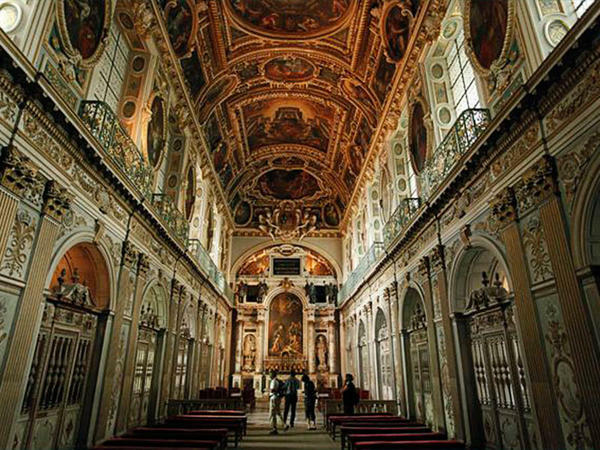 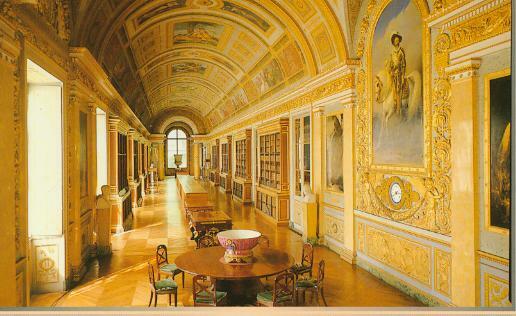 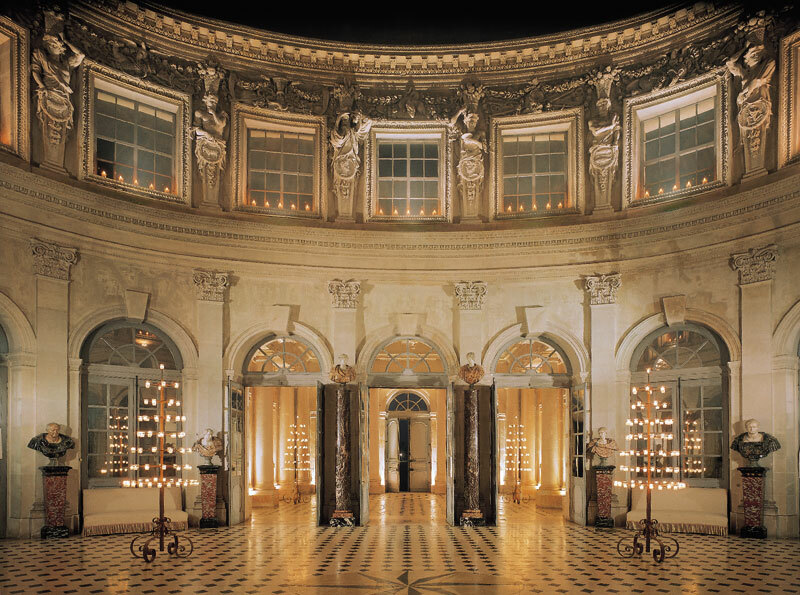 The interiors are mostly baroque with some neoclassical additions , most notably are the chapel and royal bedrooms . 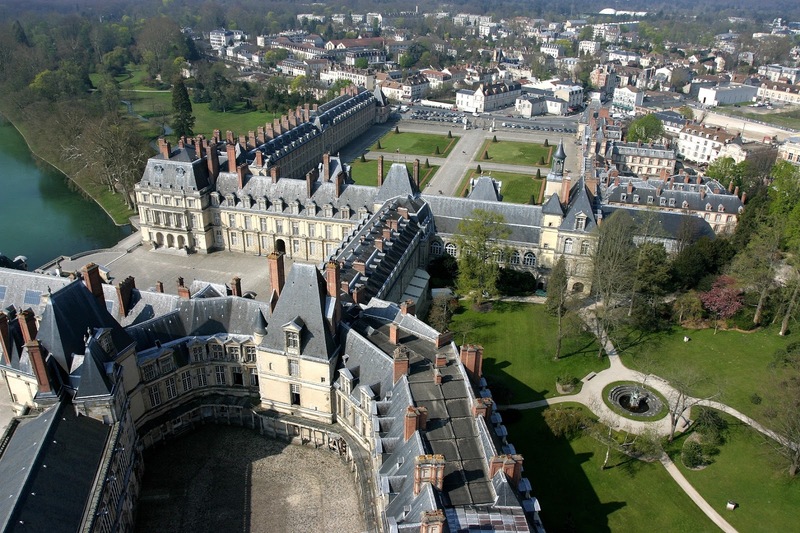 The palace was a witness to many historical moments since it was one of many palaces of the french crown . 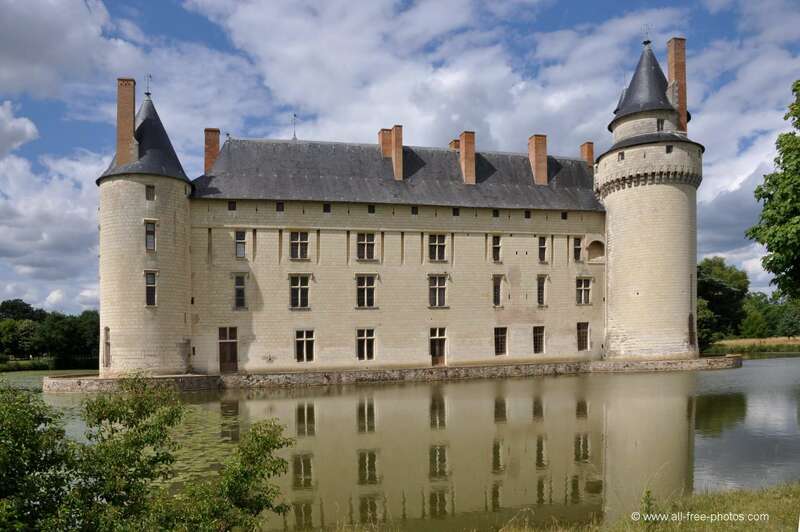 Several Kings spent their time here either hunting or simply to be away from busy life of Paris but the most famous visitor was Napoleon Bonaparte who spent his time here during the war of 1814 . 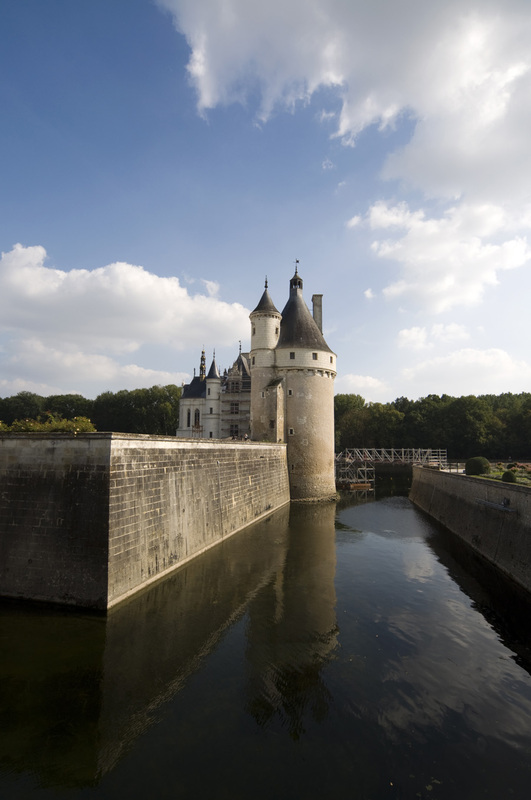 It was here after having learned of the betrayal of his marshals , he abdicated for the first time . 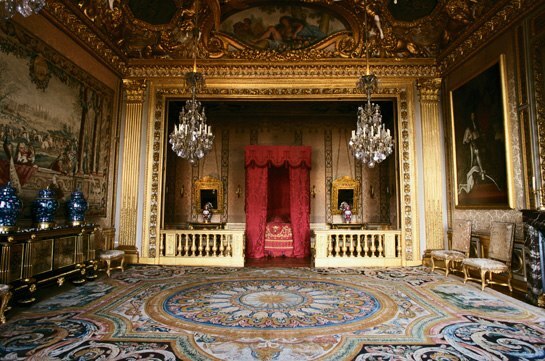 The palace would live on through the years of revolution , being used by Napoleon the Third , and later the presidents of the republic. 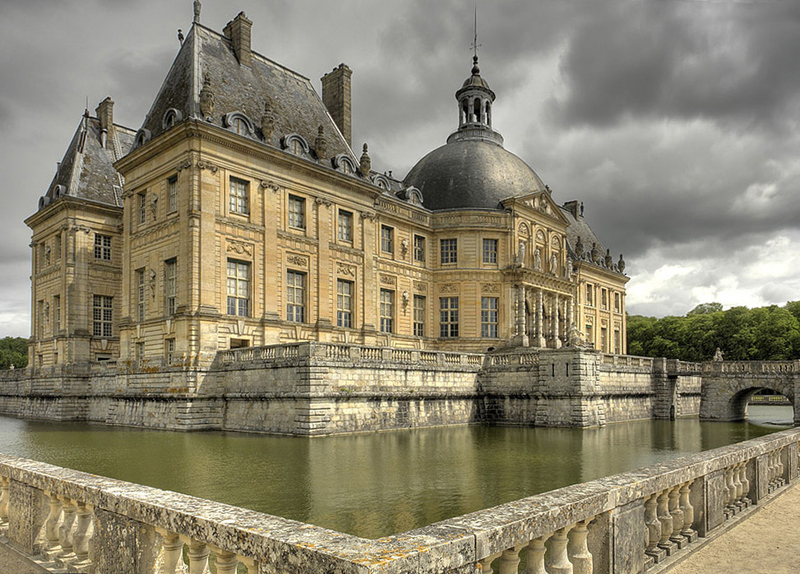 This ensured that the palace was constantly renovated and kept in shape through the years .The palace was also spared destruction in both World Wars and today is a popular tourist attraction . 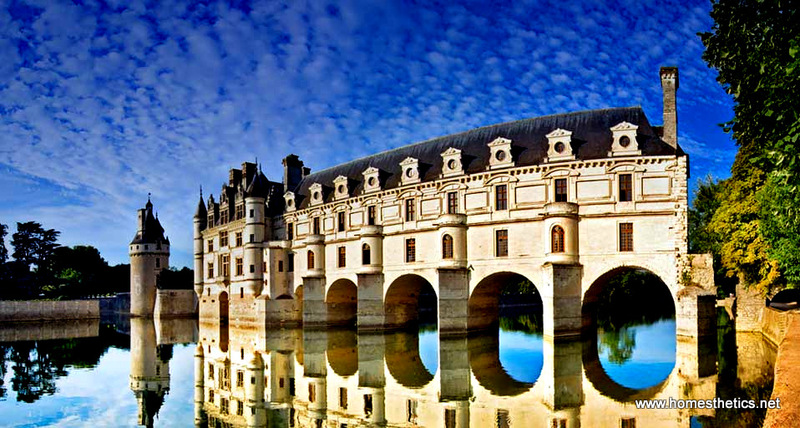 – A mighty Castle upon a bridge spaning a water , a breath taking landscape worthy of fantasy setting. 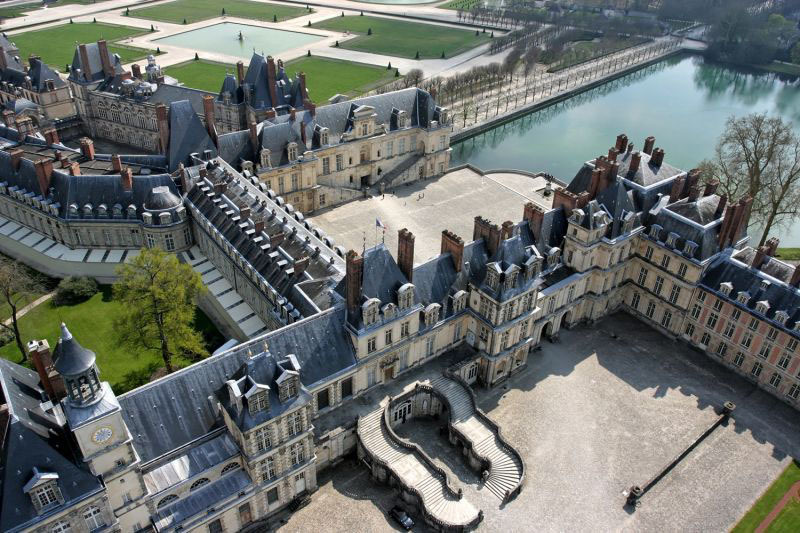 The palace is mainly an early example of french classicist design , a rare mix between a typical Gothic castle and a Renaissance Palace . 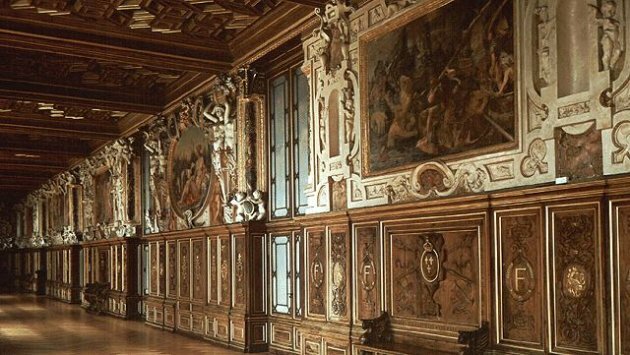 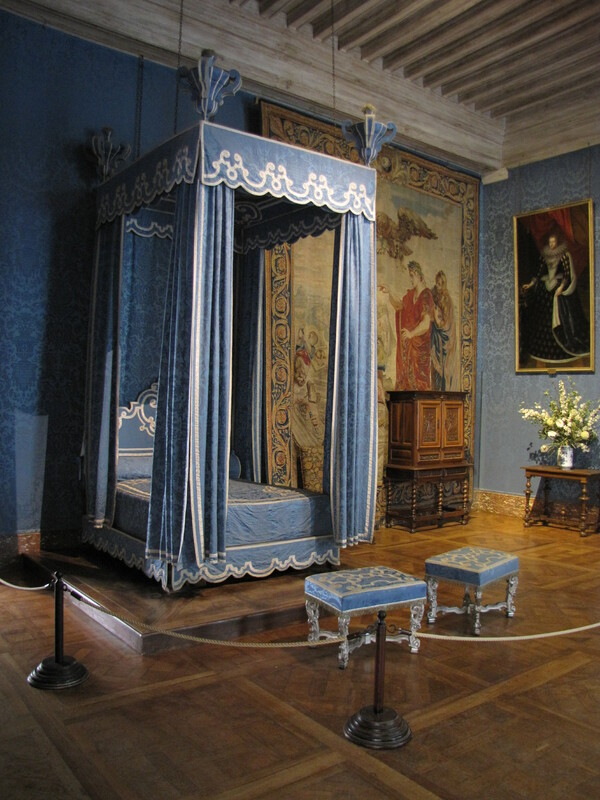 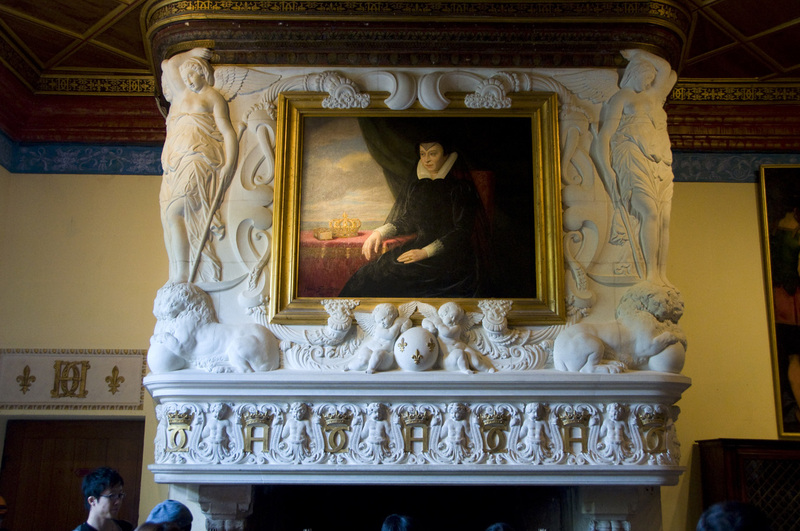 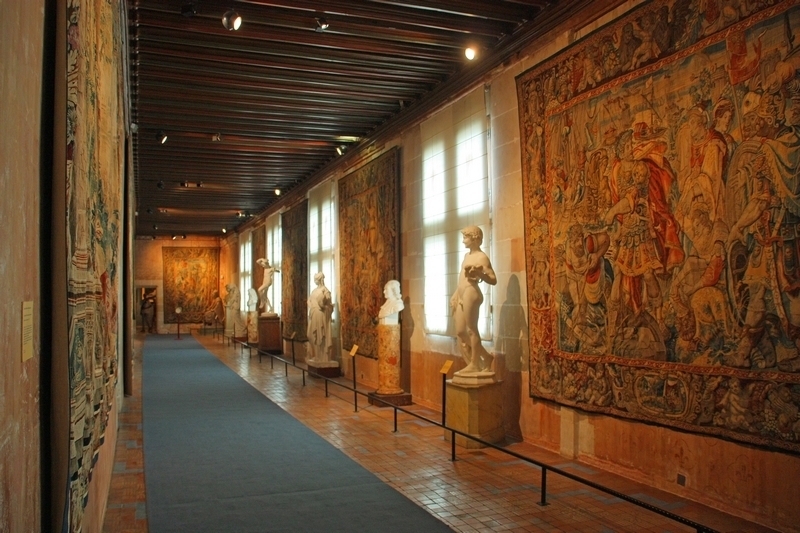 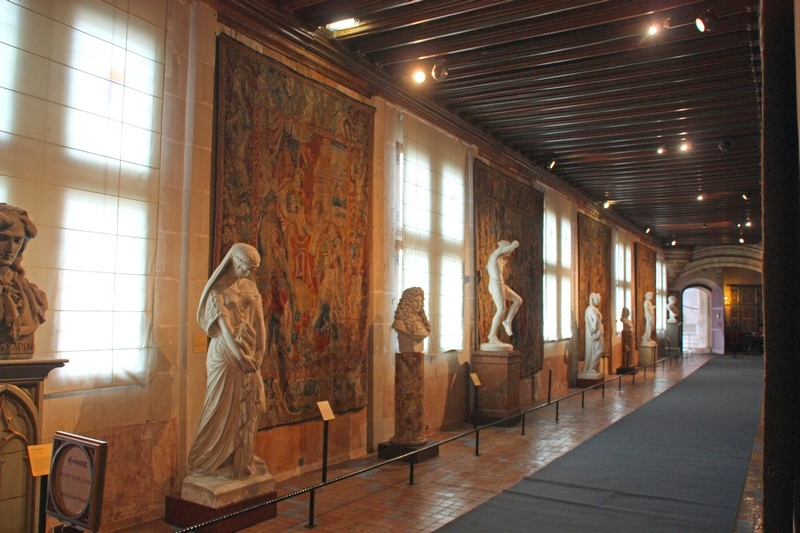 The interiors are mostly austere and typical of french Gothic architecture and due to its magnificent exterior landscape and architecture it became the favorite residence of Catherine de Medici , the Queen regent . 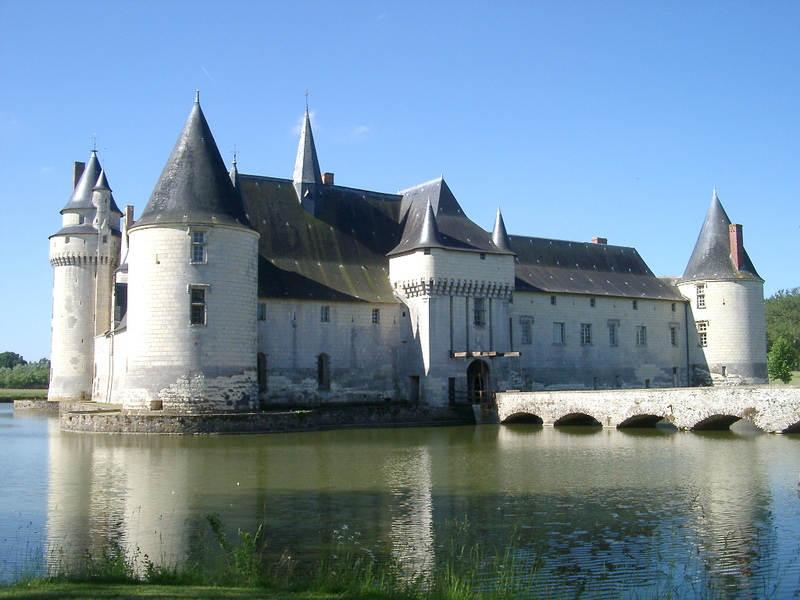 She spent a lot of time here with her son Francis II and added the gardens and considered an even greater expansion of the castle . 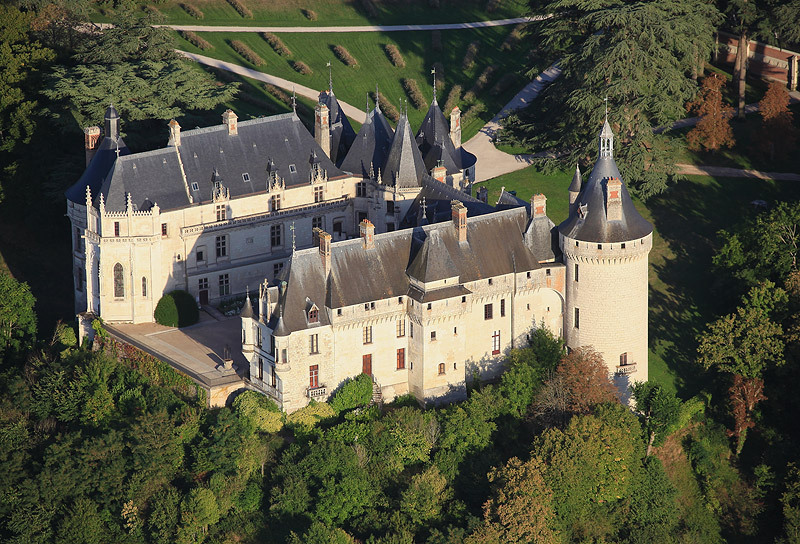 The castle survived throughout the ages and was restored in 1875 by architect Felix Roguet . 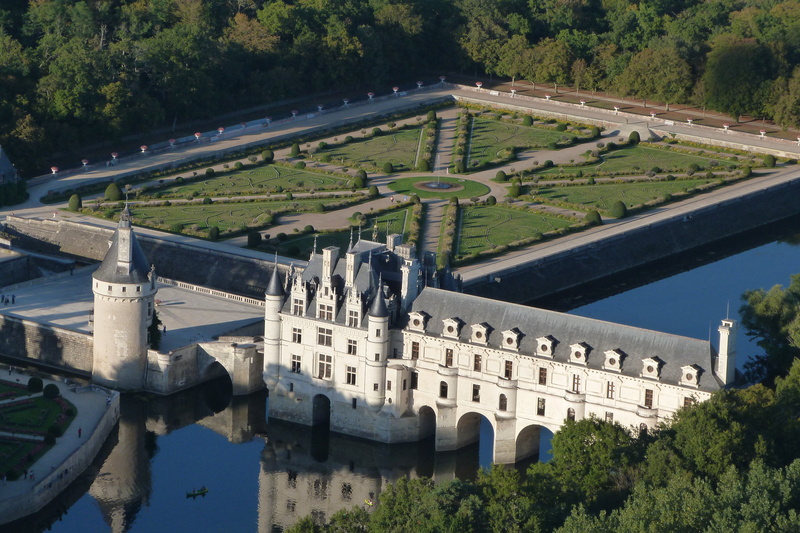 It was built in less then 5 years by Jean Bourre , the main advisor to King Louis XI during the tenuous period of conflict with League of the Public Wheel and later through the war against Charles The Bold and his Duchy of Brugundy. 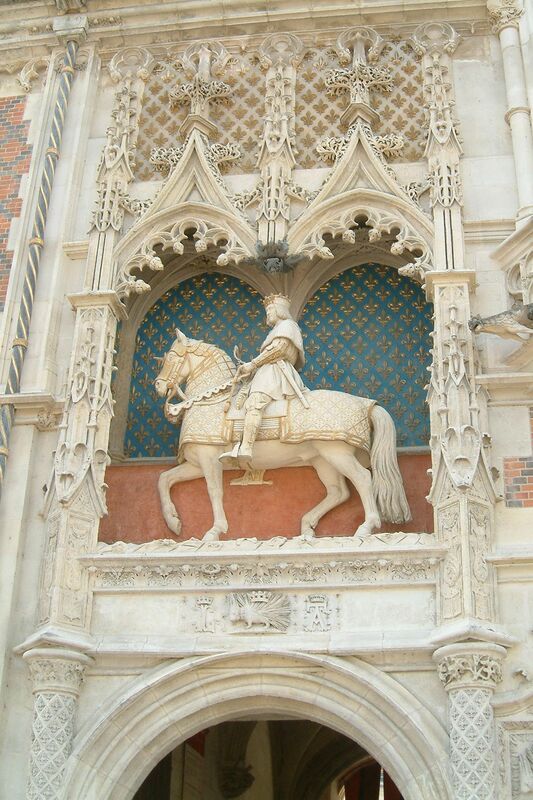 It represents a mix of domestic Gothic and Renaissance elements which can be seen in the exterior details of the Facade. 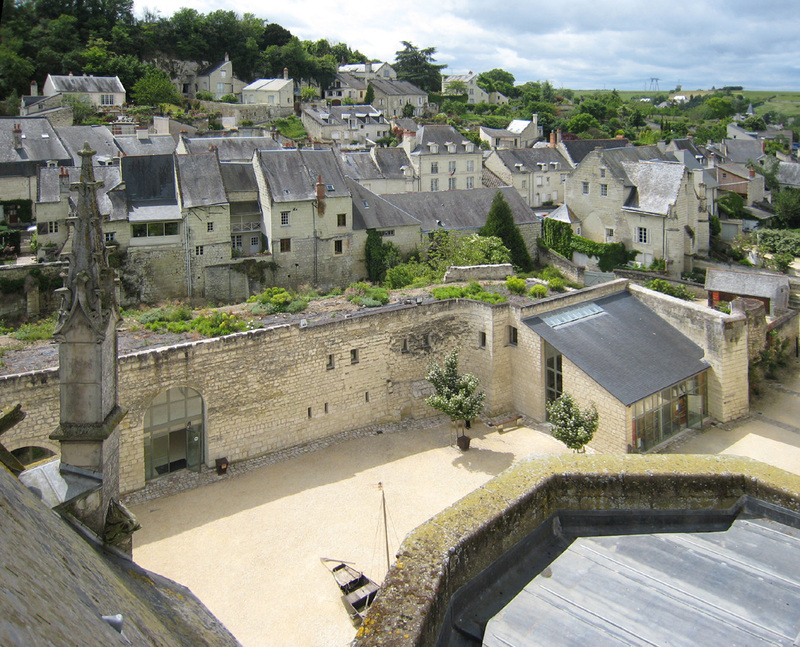 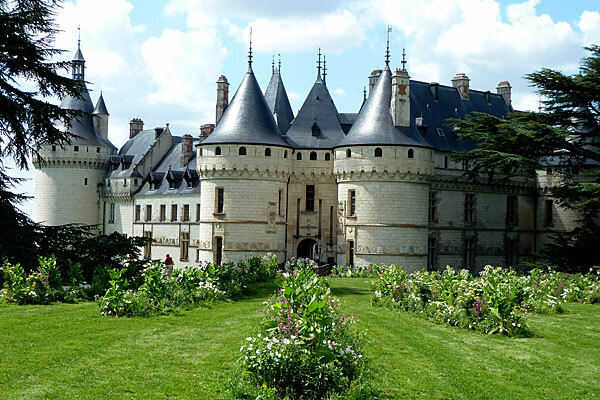 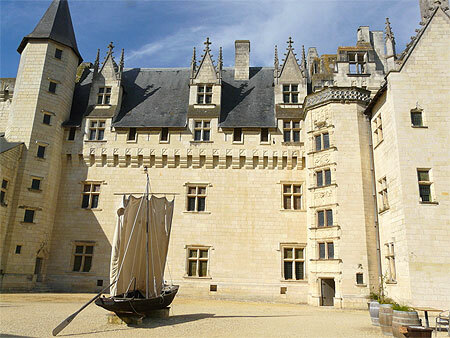 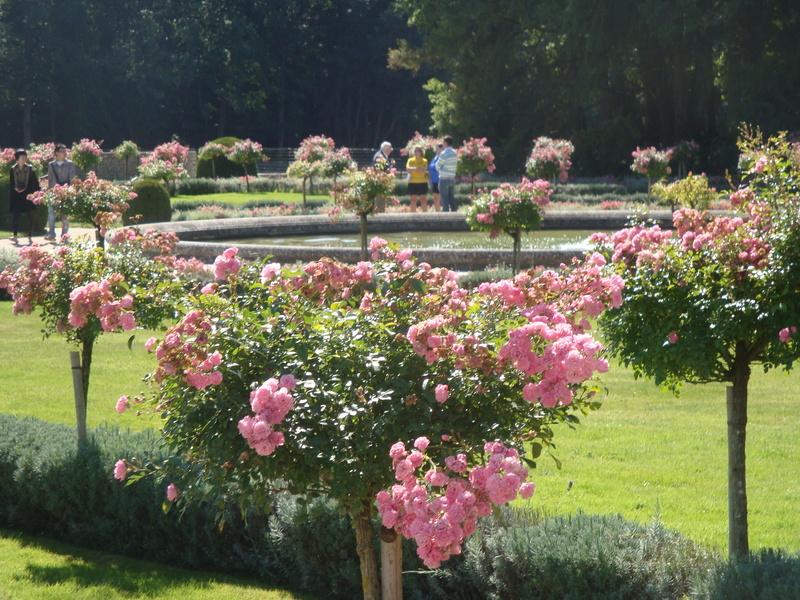 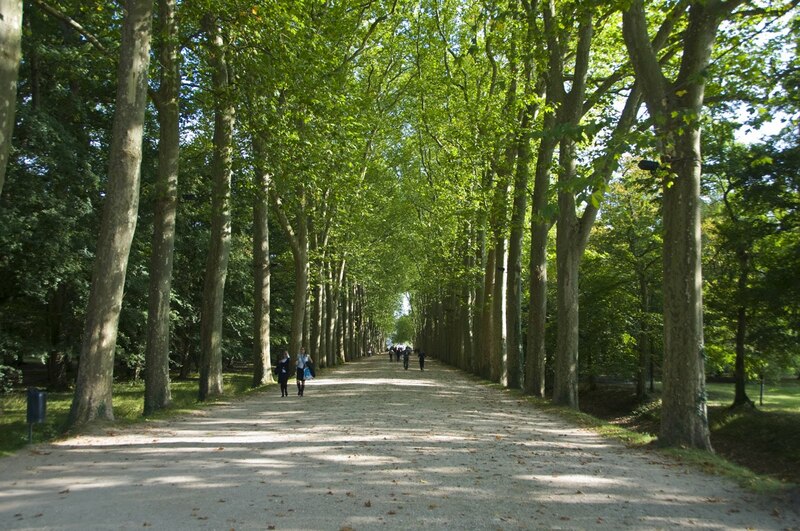 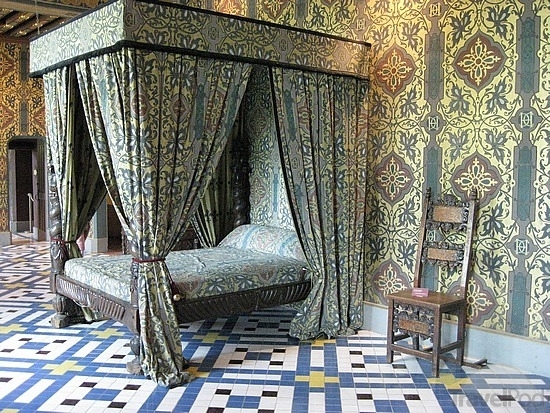 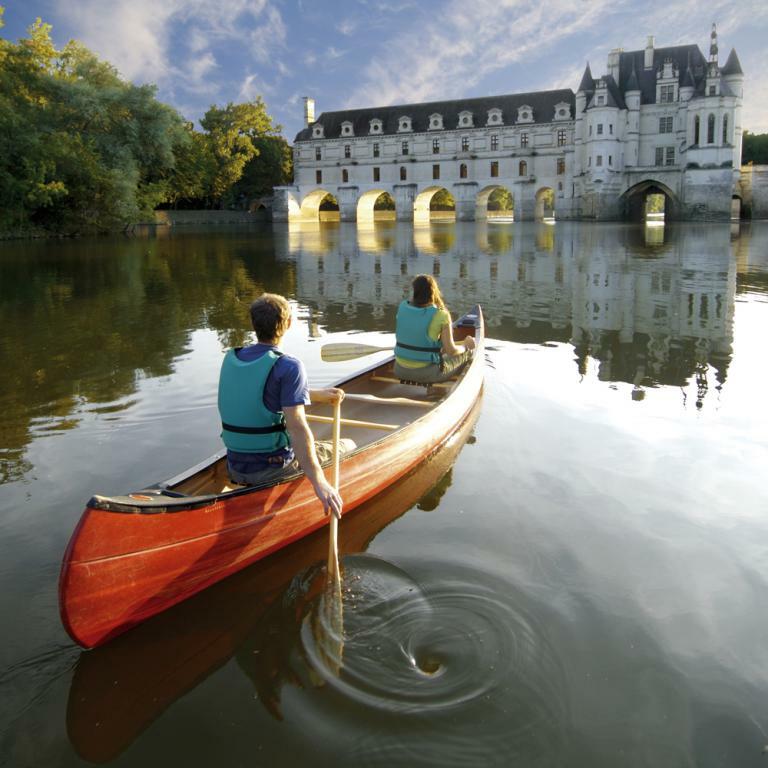 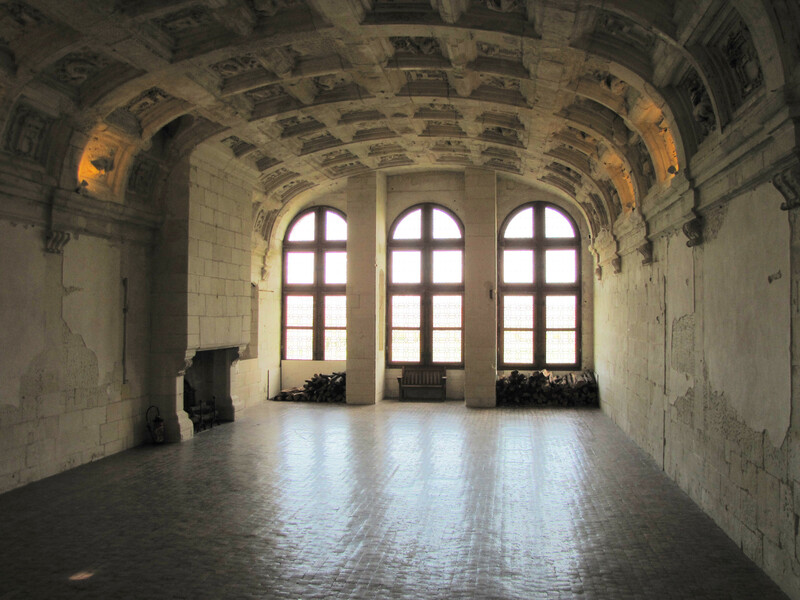 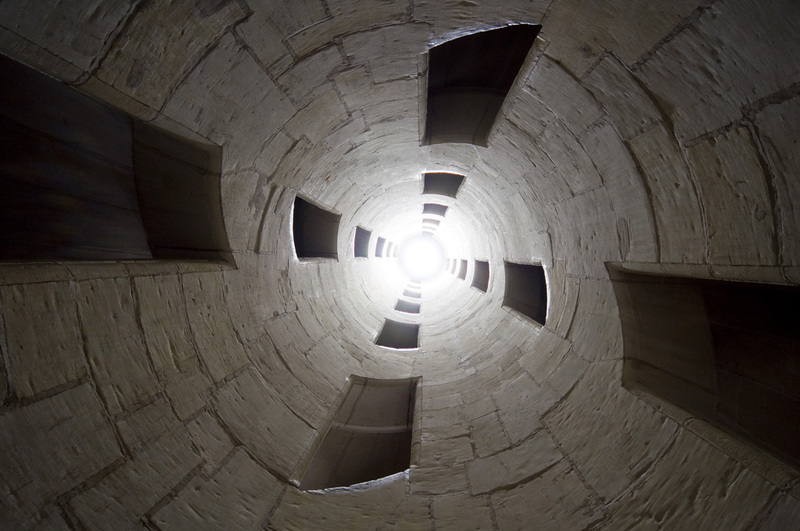 Renovations were made in 1978 , and today is a popular tourist attraction in Loire Valley in the Ecuille Comune. 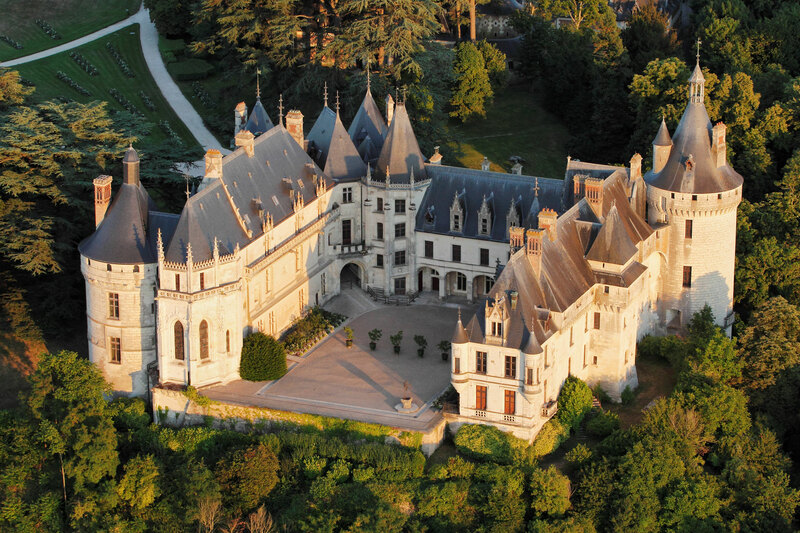 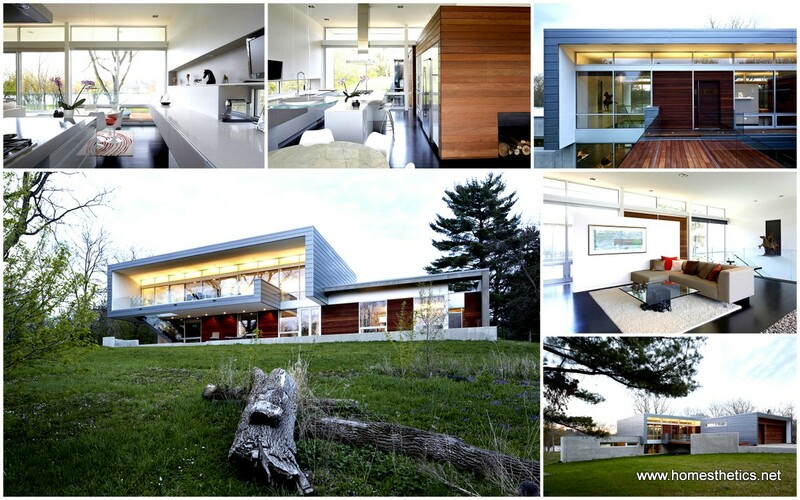 – A famous castle /palace built in the style of French Classicism with powerful Baroque influences . 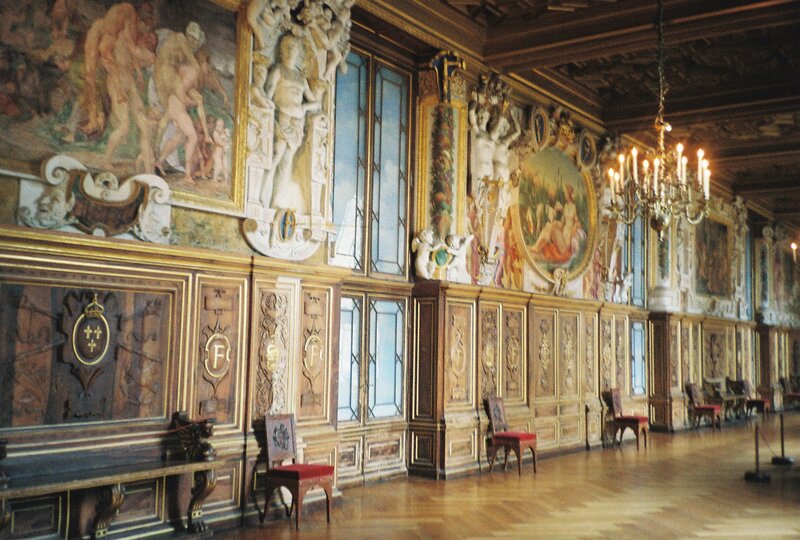 It is famous for Louis The XIV ‘s envy of the owner , the minister of finances Fouquet , who was soon imprisoned after its grand opening , the king believing this grandeur was due to the misappropriation of state funds . 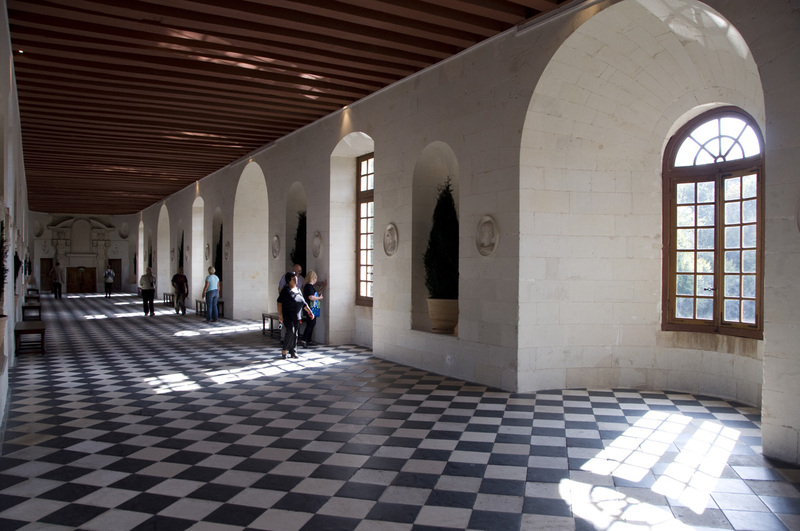 The palace was awarded to marshal Villars and then sold to the Duke of Praslin. 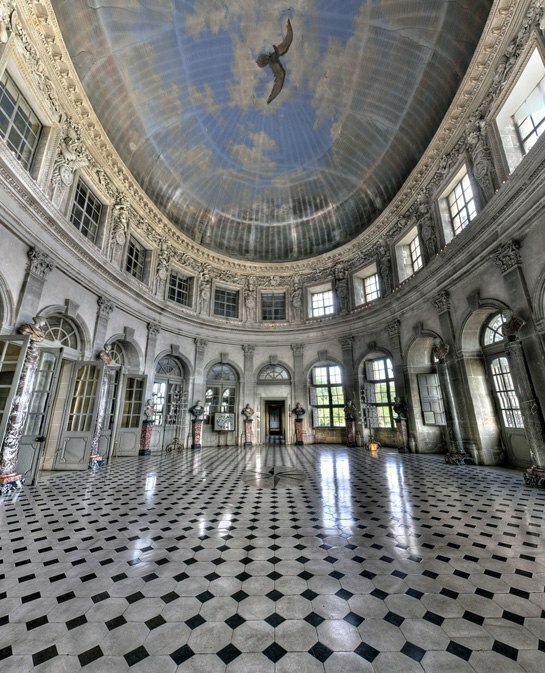 It slowly fell into disrepair and renovation began in 1875 and by 1908 the palace was in its original form . 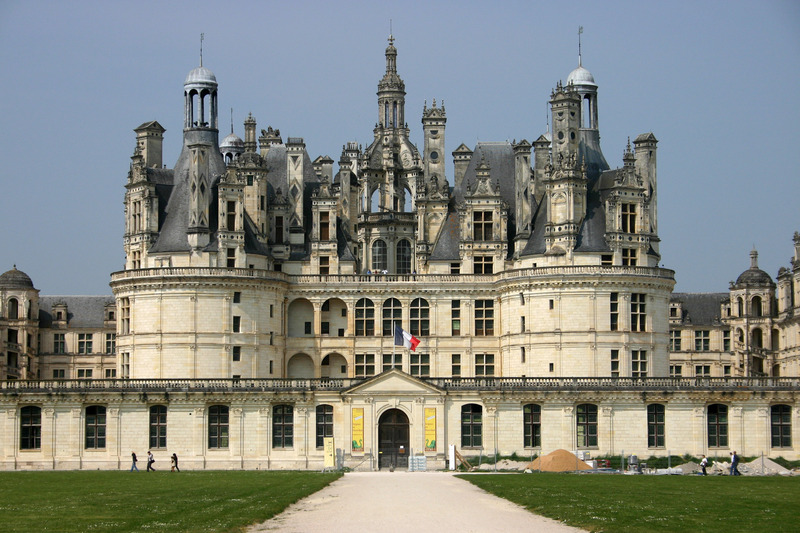 More castle then palace , it serves as an interesting example of what happens when military architecture gets a more civilian look. 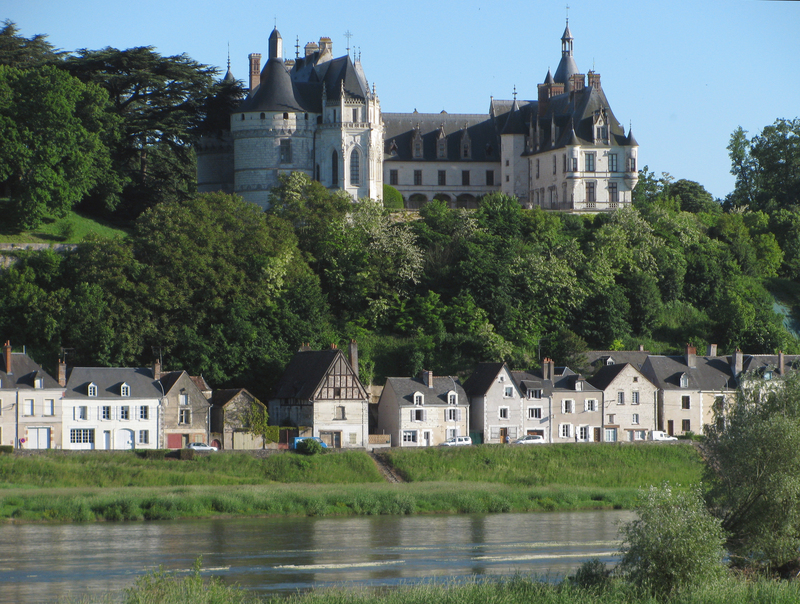 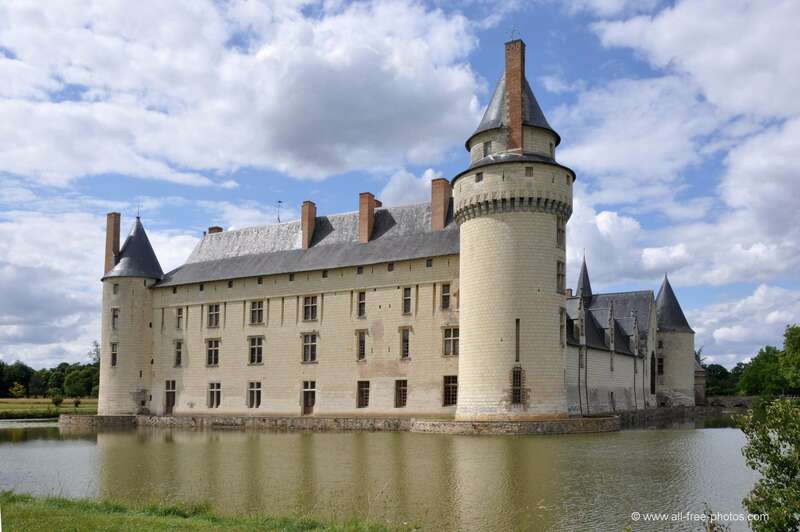 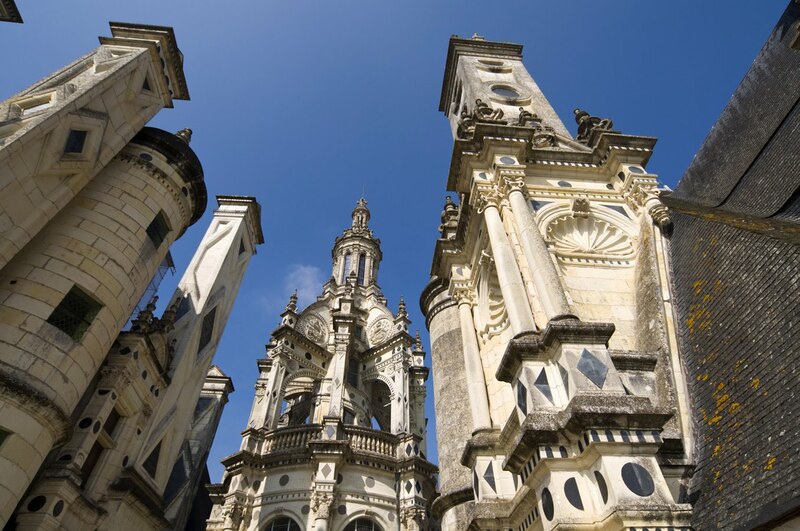 The reason why it has in spite of its renaissance decorations a sober gothic military look is the fact that it was situated at the confluence of 2 rivers , the Loire and Vienne and border 3 regions , Anjou Poitou and Tourainne . 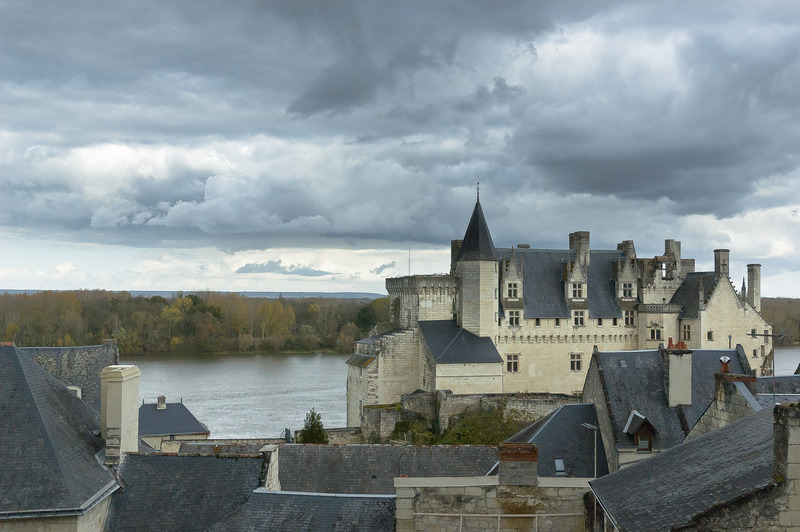 This meant that during the turbulent times of the 15th century when the Duchy of Burgundy was still bordering eastern France , and the authority of the king was still contested in certain circles , this important geographical point would be hotly contested in the future . 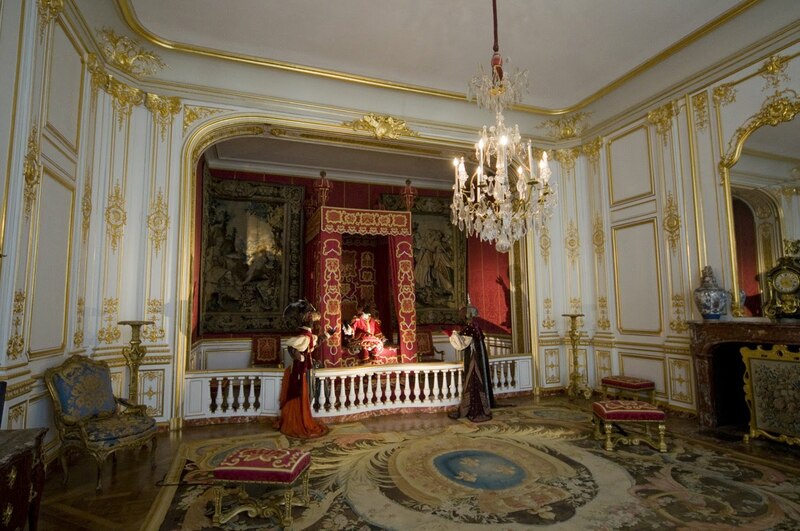 So it was decided that a more military aproach was needed. 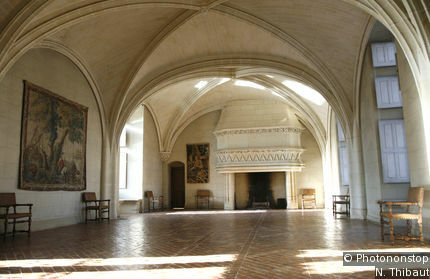 The castle was restored and awaits visitors. -Catherine de Medici’s castle and the one she exchanged for Chenonceau , by forcing Henry the II’s , Diane de Poitiers to give Chenonceau for this castle. 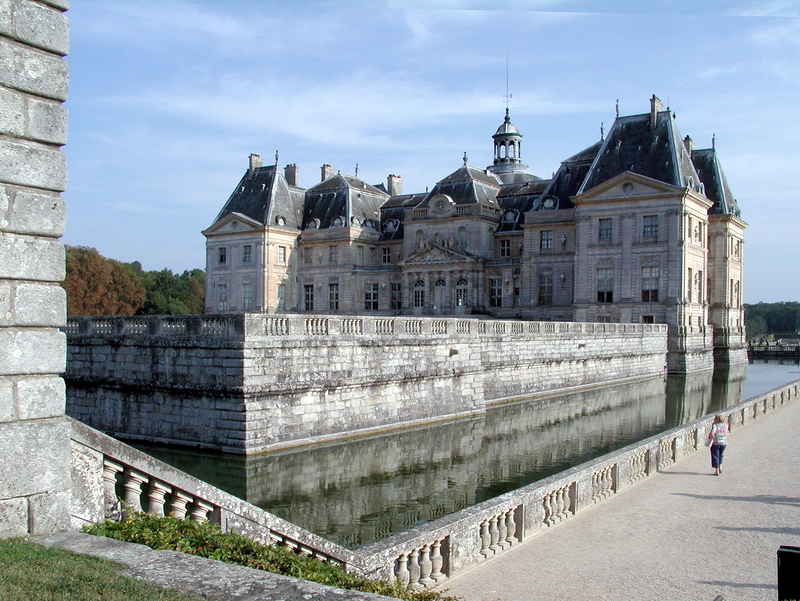 The Palace unlike montreau or other palaces strike a perfect balance between the need to withstand sieges and being a luxurious home . 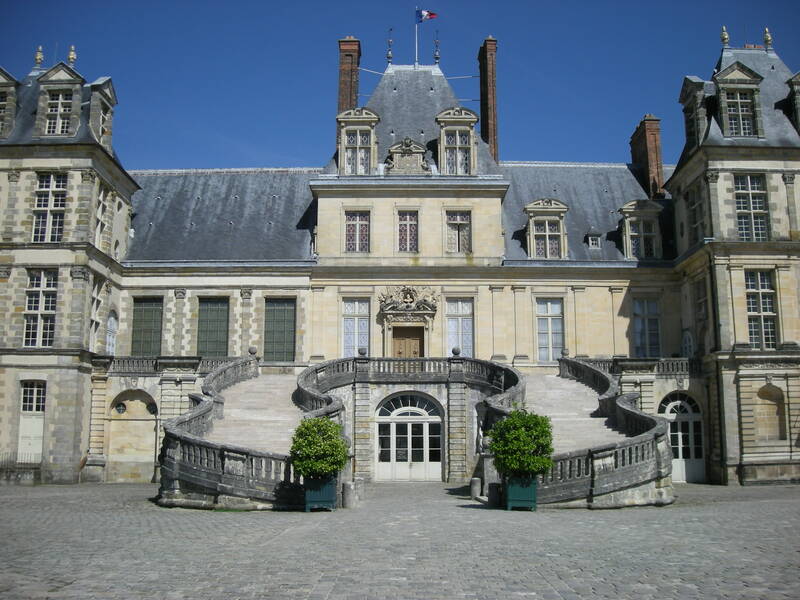 Another famous owner was madame the Stael , a political oponent of Napoleon Bonaparte and after renovations it was classified in 1840 as a national monument of France and is since opened to visitors. 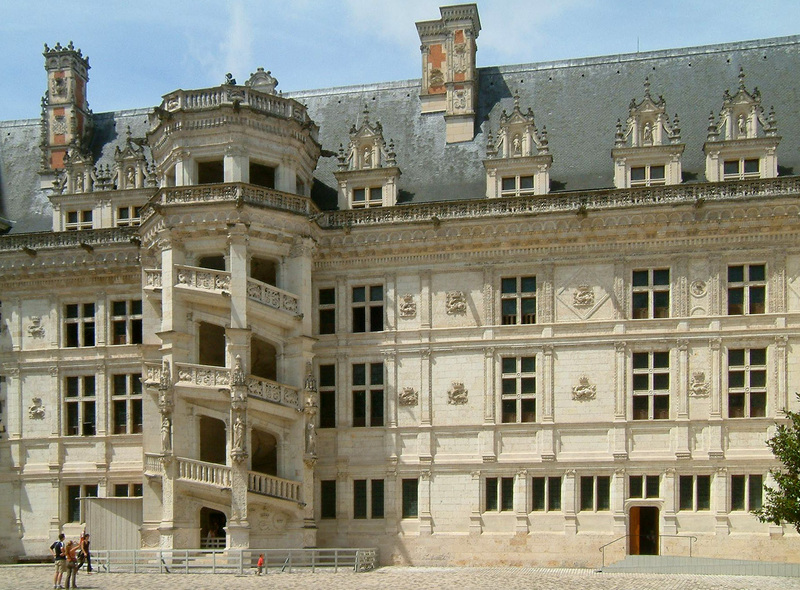 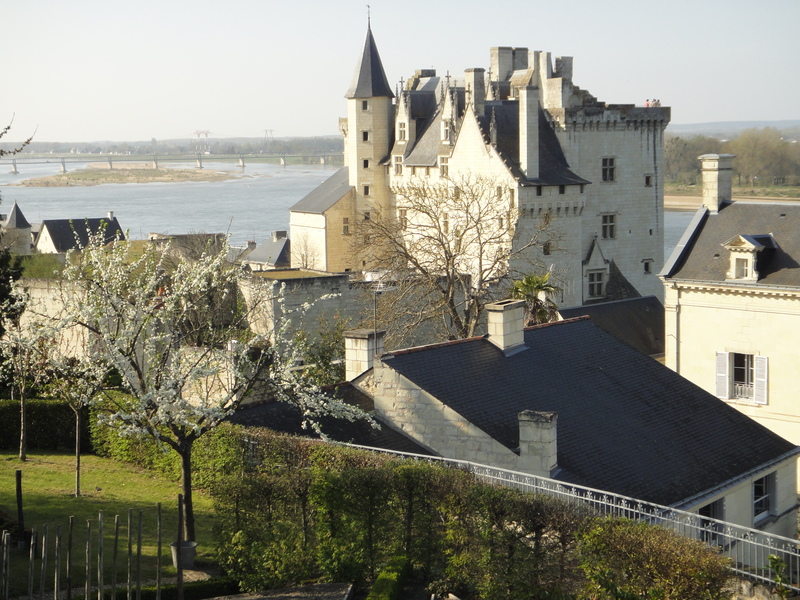 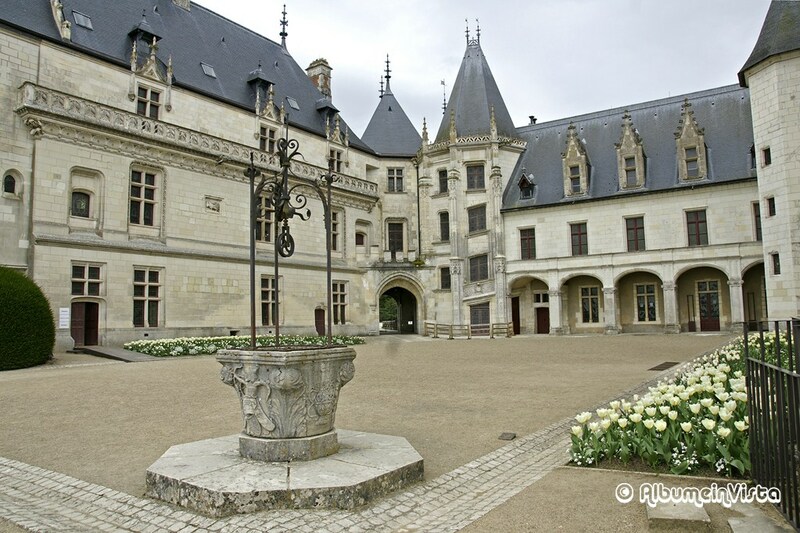 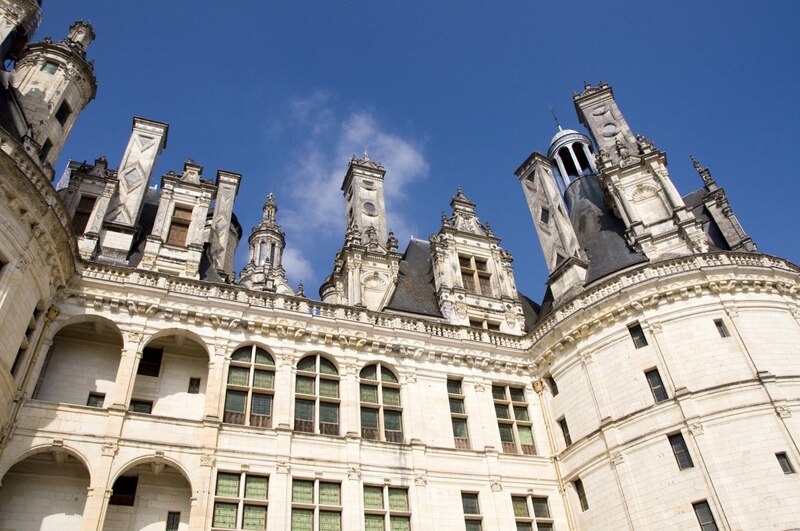 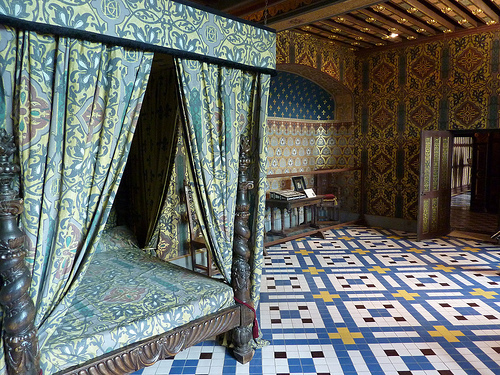 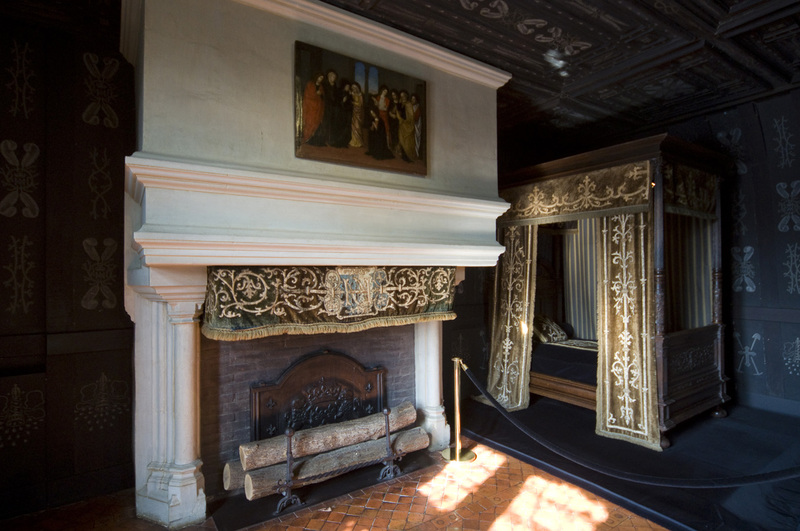 The list would not be complete without the chateau of Blois and its mix of Gothic and Renaissance elements , but this time not in one facade but in two completely different wings of the castle facing each other . 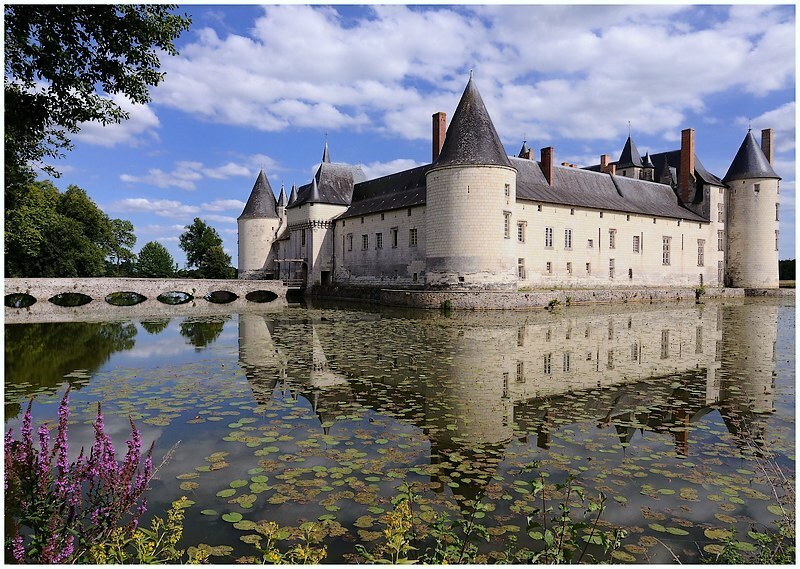 The castle was the residence of the Kings of France , one of its most notable occupants being Charles the VIII , nicknamed “L’affable” , the french king who started the Italian Wars. 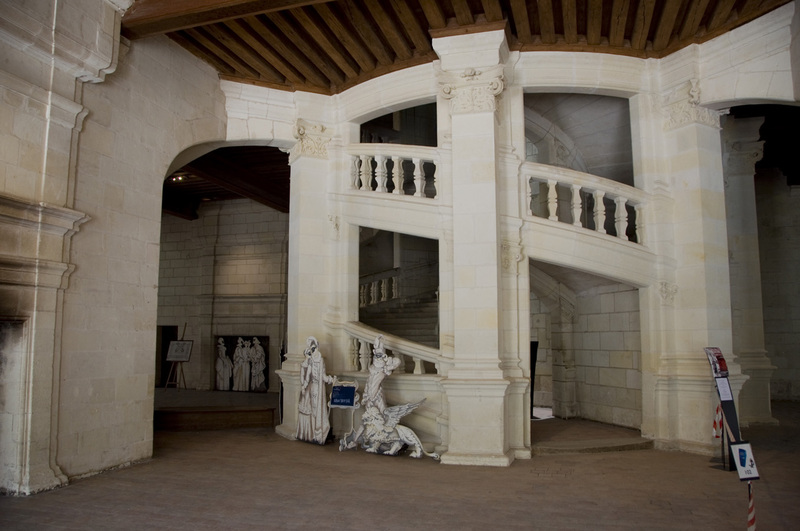 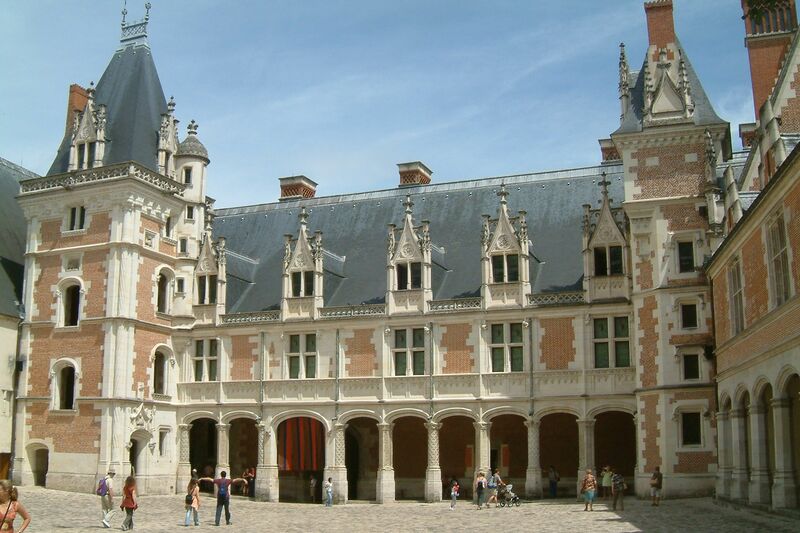 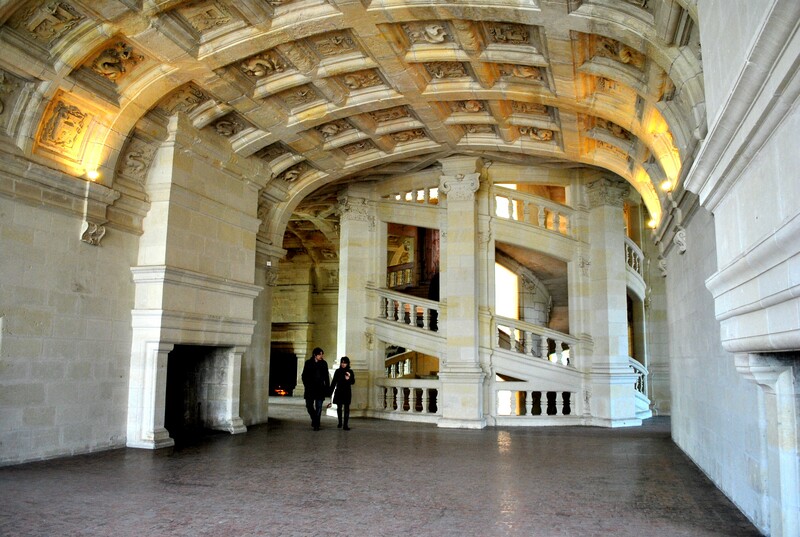 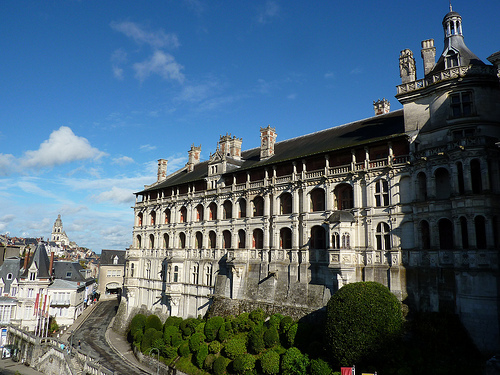 Blois has several elements from Renaissance architecture including and entire wing with symmetrical classic decorations and an impressive exterior stair case. 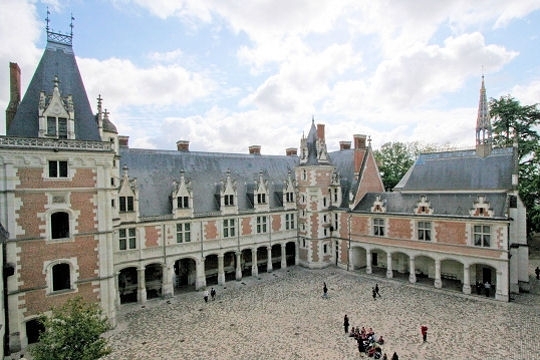 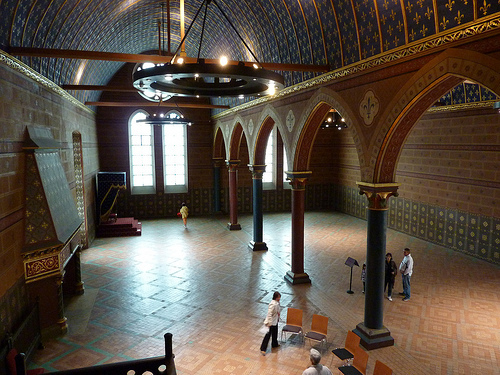 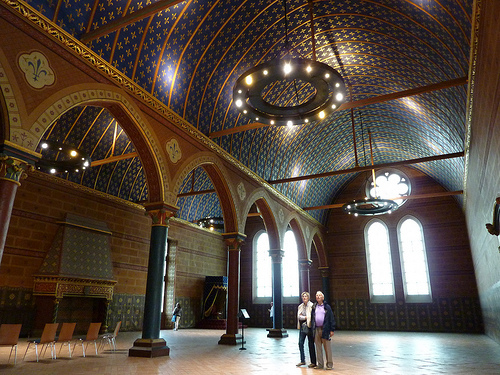 a palace that pays an homage to the concentric castle design but made in Renaissance style, mixed with local french elements like the high slope roofs due to the climate and the gothic details, this palace is unique in both its floor plan layout and the way the facades look in a renaissance/gothic way. 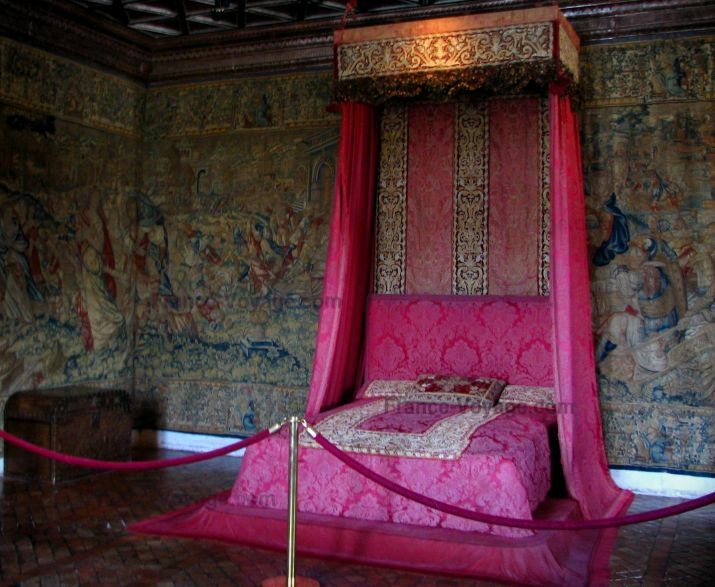 Designed byt Domenico da Cortona and Leonardo da Vinci , it was Francis the First statement of power and monarchical strength and was showcased as such to his great rival Charles the V Holy Roman Emperor and King of Spain. 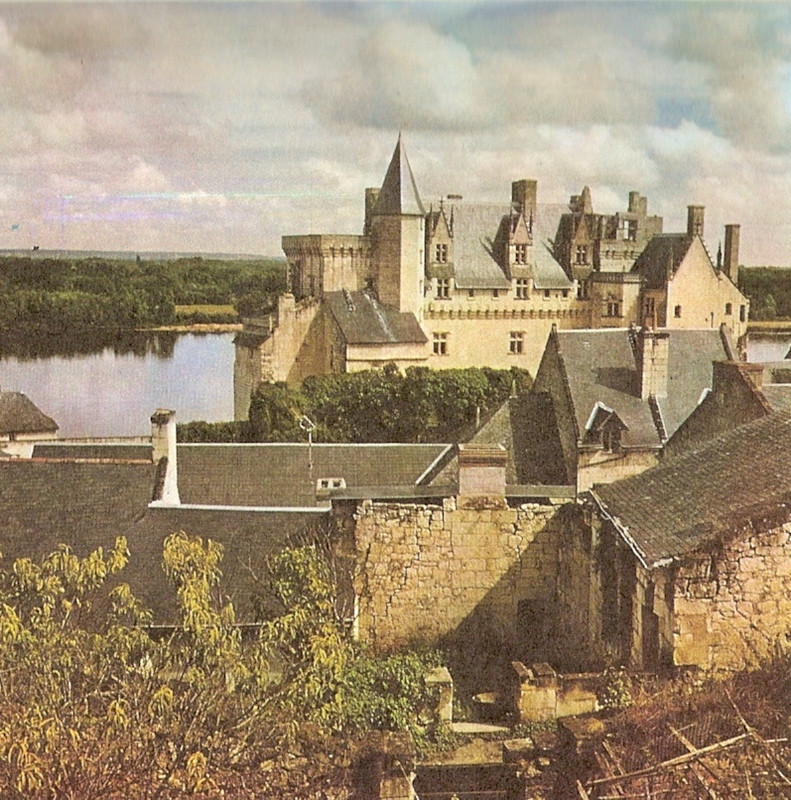 During WW2 it housed some of the collections from Louvre , but on 22 june 1944 an american b-24 Liberator crashed into the castle/palace , thus after the war it required extensive renovations. 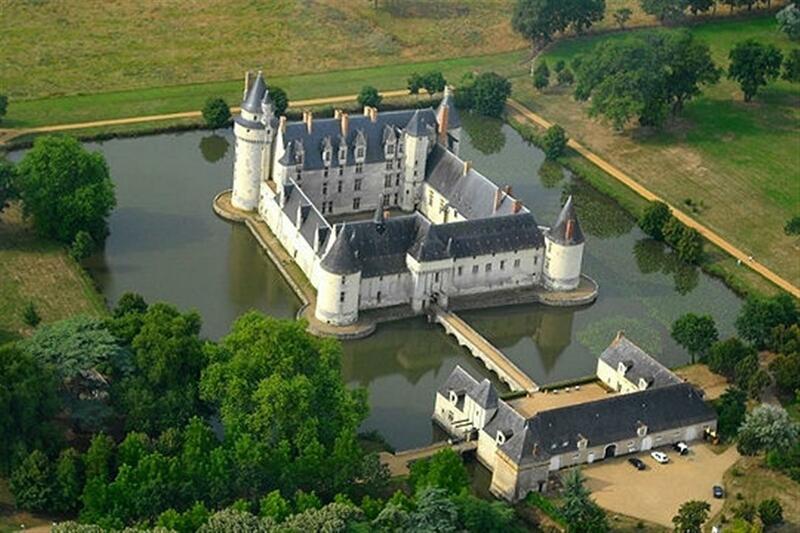 Today it is a popular tourist attraction.